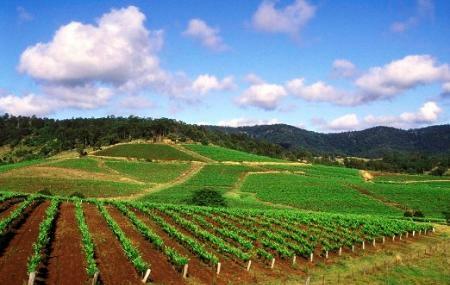 If you are in the City of Cessnock, the one place you must visit is the Hunter Valley Wine Region. There are over 200 wineries in the valley and the wine here is famed to be the best in Australia. The wineries range from small boutique establishments to large-scale operations. A picturesque walk through the vineyards after an afternoon of wine tasting is an ideal way to spend a day here. Several private tour operators conduct tours for the region. Hot air ballooning and helicopter tours of the wine region are also very popular activities. The ideal place to begin exploring the region is at the Hunter Valley Visitor Centre for information on the area and tours. Prices vary depending on the tour company. All tour companies have their own itineraries so look at the vineyards that are covered before choosing one. Visitor Centre from 9:00 am - 5:00 pm. How popular is Hunter Valley Wineries? People normally club together Aqua Golf And Putt Putt and Cessnock Performing Arts Centre while planning their visit to Hunter Valley Wineries. People also prefer to end their day with Hunter Valley Wineries.